Canadians are lucky to have publicly funded health care, but did you know if you travel outside of Canada that your provincial health plan doesn’t follow you? The cost of medical attention can be quite high in some countries. Think hundreds of dollars for a quick trip to the doctor, or thousands if you need to visit the emergency room. Fortunately, as long as you have travel insurance, you won’t have to pay anything out of pocket. Usually when people speak about travel insurance they’re referring to travel medical, which covers you in situations where medical care is required abroad. However, other types of travel insurance you may need include travel accident, trip cancellation and interruption, delayed baggage, and lost baggage. It may seem excessive to have that much insurance when travelling, but trust us, you’ll be glad you have it if you ever need it. 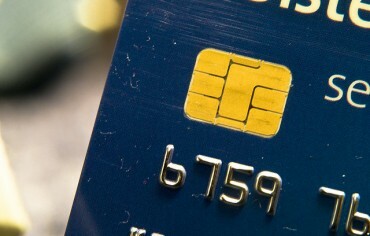 The good news is that many premium credit cards offer a comprehensive travel insurance package as a standard benefit. To qualify for coverage, your accounts needs to be in good standing and a portion or the entire cost of the transportation ticket must be paid for using the credit card. Below is a breakdown of the types of credit card travel insurance covered in this post. Type of Credit Card Insurance What Does It Cover? Travel medical insurance Healthcare costs in the event you (the cardholder), your spouse or dependents suffer an injury or illness while abroad that requires professional medical attention. Travel accident insurance Serious bodily harm incurred on a common carrier, such as a flight or train (i.e. medical costs associated with permanent hearing loss experienced while on an airplane). Trip interruption insurance Reimbursements of purchases made during travel in emergency cases (i.e. 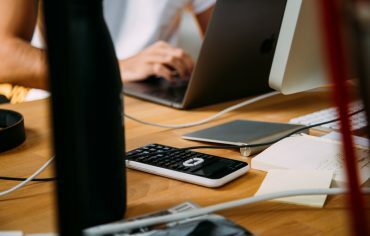 if a connecting flight is cancelled due to a natural disaster and you require to book return flights, some or all of this cost may be reimbursed). 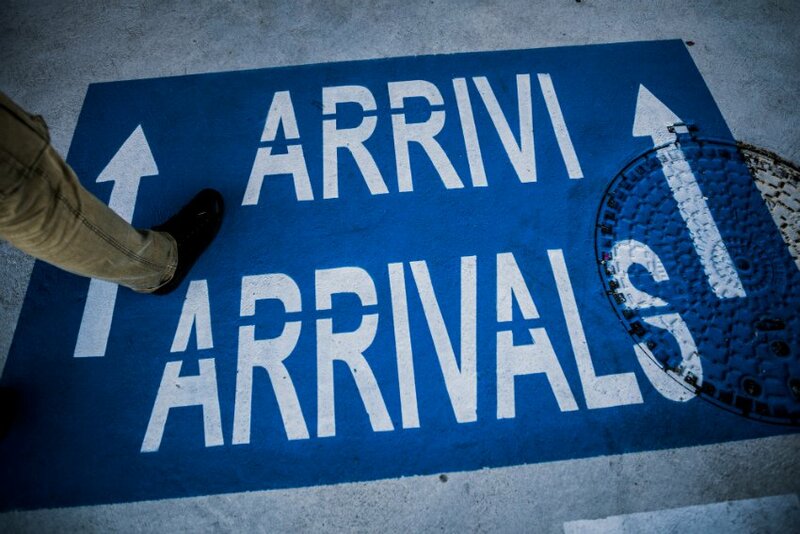 Trip delay insurance Covers purchases that must be made during travel due to short-term flight delays (i.e. if a connecting flight is cancelled due to poor weather and you require a place to stay, some or all of your accommodations may be reimbursed). Lost baggage The loss of your luggage by a carrier, such as an airline or cruise line. Coverage is often capped and will not apply to all items. Delayed baggage In the event your checked-in baggage does not arrive on schedule, you may be reimbursed some or all of the cost of essential items you purchase in the meantime. 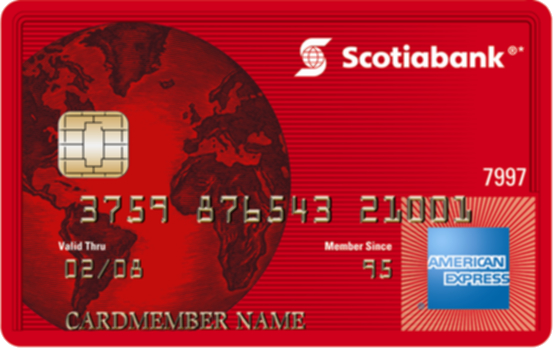 The travel insurance included with the Scotiabank Gold American Express is mostly positive, but the $1 million travel medical insurance is considered low compared to other cards. On the positive side, 25 days is one of the longest coverage you’ll get. Ten days of coverage for those over the age of 65 is more than double than what some of the other cards offer. Your insurance also includes hotel burglary insurance up to $1,000 per person. 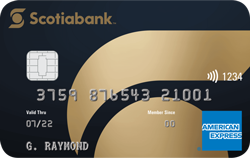 See full insurance details for the Scotiabank Gold American Express here. 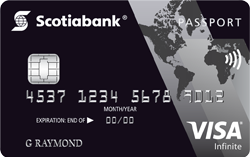 While the Scotiabank Passport Visa Infinite owes much of its popularity to the fact it’s one of the few credit cards in Canada with no foreign transaction fees, this card also features top-notch travel insurance perks. Similar to the Scotiabank Gold American Express, this card offers $1,000,000 in travel medical insurance and $500,000 in travel accident insurance (as well as $1,000 in hotel burglary insurance). The Scotiabank Passport Visa Infinite also stands out for its baggage delay coverage of $1,000 that kicks in only after 4 hours. See full insurance details for the Scotiabank Passport Visa Infinite here. On a side note that’s unrelated to travel insurance but may sway you to pick this card over the others on this list, the Scotiabank Passport Visa Infinite offers superior airport lounge access benefits with a complimentary membership and six free passes to Priority Pass lounges. At first glance, it’s disappointing that the BMO World Elite MasterCard offers no included insurance for people 65 or older, but the optional insurance is actually quite good. For an annual fee of $249, those aged 65-69 get 31 days of medical protection while those aged 70-74 will have to pay $349. Despite the fact that you get $200 per person in delayed luggage insurance, there must be a 12+ hour delay before you can make a claim which is much longer than many other insurance policies. 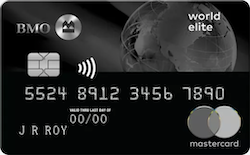 See full insurance details for the BMO World Elite MasterCard here. The TD Aeroplan Visa Infinite offers strong travel medical insurance coverage as well as one of the highest amounts provided for trip interruption and delay. The flight delay insurance gives you $500 per person after a four-hour delay while delayed baggage gets you $1,000 per person after a six-hour delay. If you’re renting a car, there’s no need to add insurance since $65,000 of car rental insurance is included as a benefit of this card. 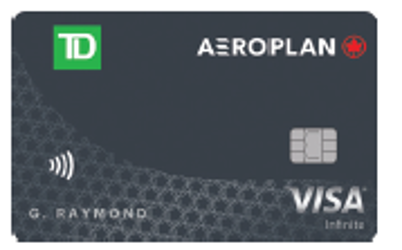 See full insurance details for the TD Aeroplan Visa Infinite here. 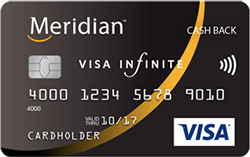 Despite being a cash-back credit card, the Meridian Visa Infinite Cash Back deserve a spot on this list for its stellar travel insurance benefits. The card offers up to a maximum of $5,000,000 in travel medical insurance with coverage for up to 48 days (respectively, one of the longest and highest coverage terms available). Plus, this card will provide insurance for seniors up to 75 years old, which can come in handy if you’re travelling with an elderly person or are one yourself (though coverage periods do vary depending on age). This card also offers all the other insurance perks that you’d expect to find on a travel card, with $1,000 in baggage insurance and $2,000 in travel interruption insurance with unlimited coverage in instances you need to fly home early due to an emergency after departure. In one notable insurance perk that isn’t directly related to travel, this credit card is one of the few in Canada that offers mobile device insurance and will reimburse the cost of repairs to your smartphone or tablet provided the device was purchased on the card. This card’s trip interruption and delay, lost baggage, and delayed baggage coverage is on par with the other cards listed here, but the National Bank World Elite MasterCard stands out for its medical coverage. It has the highest benefit amount (up to $5 million) and longest coverage period for travel medical for all ages, including 15 days of coverage for people age 65-75. However, it doesn’t offer any travel accident coverage — this means you aren’t protected if you sustain bodily injury while occupying a common carrier, or while at the airport, terminal or station at the beginning/end of your trip. 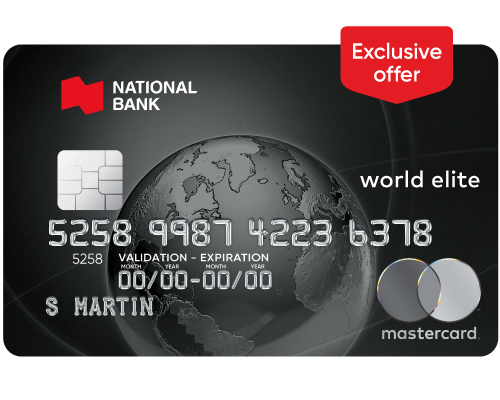 See full insurance details for the National Bank World Elite MasterCard here. Note: The Desjardins Odyssey World Elite Mastercard is another credit card that’s noteworthy for offering travel insurance coverage for seniors up to the age of 75 years old. 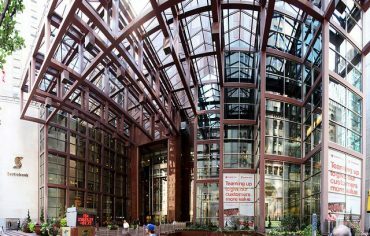 For a no fee credit card, the Scotiabank American Express offers cardholders with a noteworthy travel insurance package. Comparable to other Scotiabank credit cards with annual fees, this card offers the same $1,000,000 in emergency travel insurance (although the coverage period is cut considerably shorter at 8 days). This card also provides $250,000 in travel accident insurance, though this is half that of what its annual fee alternatives offer. While not strictly travel related, the card’s rental car insurance is worth highlighting as it covers up to $65,000 in collision and loss coverage for 48 days – which mirrors what several other fee cards offer. With that being said, baggage loss and delay insurance is notably lacking. While the RBC VISA Infinite Avion card’s emergency period coverage is somewhat lacklustre at 15 days, its coverage amount certainly is not. According to the card’s terms and conditions, the maximum benefit for medical insurance is unlimited. Paired with a notably higher $5,000 trip interruption insurance and it’s easy to see how this card makes it on the list.